At Houston Drum Company our desire is to build the best sounding drums possible. To us, that involves classic design principles of contrast, unity and color. Every drum is built by hand by craftsmen who know what a drum must do… Sound great! We offer a wide variety of drum sizes as shell packs. 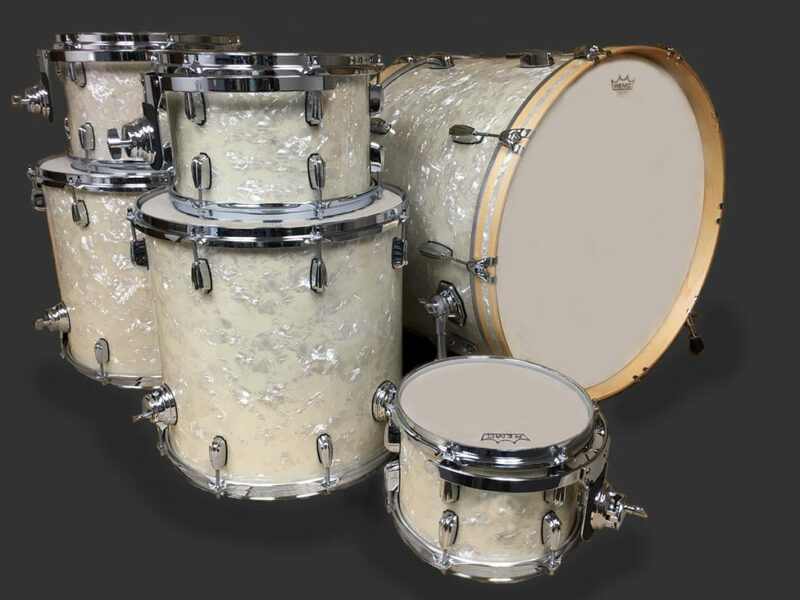 Our Houston Luxury and Ely Vintage Classic series drums differ in construction, style and sound characteristics. We are not a mass production instrument maker. The details are most important to us. The inside of the shell is painstakingly prepared and finished to promote maximum resonance. Our drums are finished in a wide variety of stain colors, hand rubbed natural patina or laminate wraps. A variety of tom mounts, holders, floor tom legs, spurs and throw-offs are available. Our lugs, brackets, spurs and throw-offs are attached to the shells with stainless steel screws and backing washers.